THIS COMING SUNDAY - APRIL 21, 2019! Christ Is With Us! He Is and Ever Shall Be! 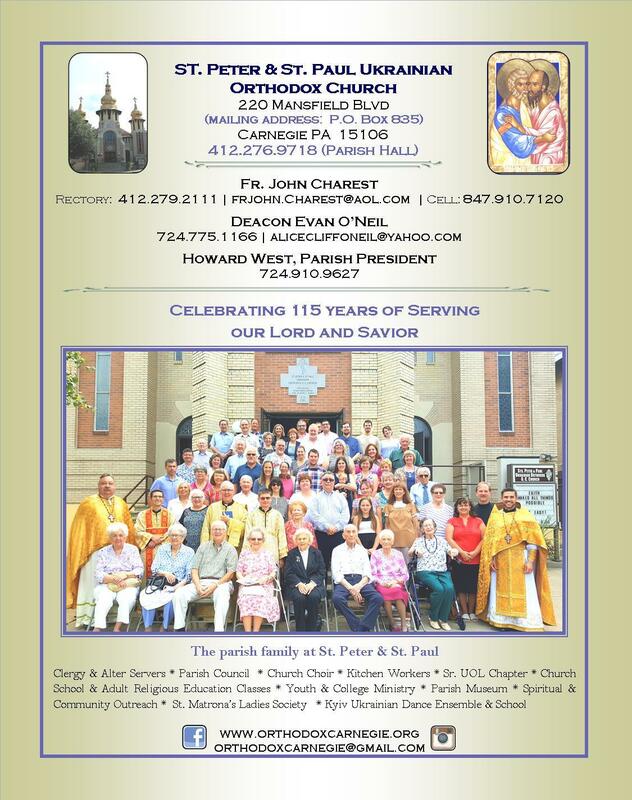 Welcome to the website of the community of St. Peter & St. Paul Ukrainian Orthodox Church of Carnegie, PA.
We welcome you to browse the site to learn more about our parish. Please consider joining us for Divine Liturgy on Sunday mornings at 9:30 AM. St. Peter & St. Paul Ukrainian Orthodox Church is under the omophor of the His Eminence Metropolitan Antony of the Eastern Eparchy/Ukrainian Orthodox Church of the USA. 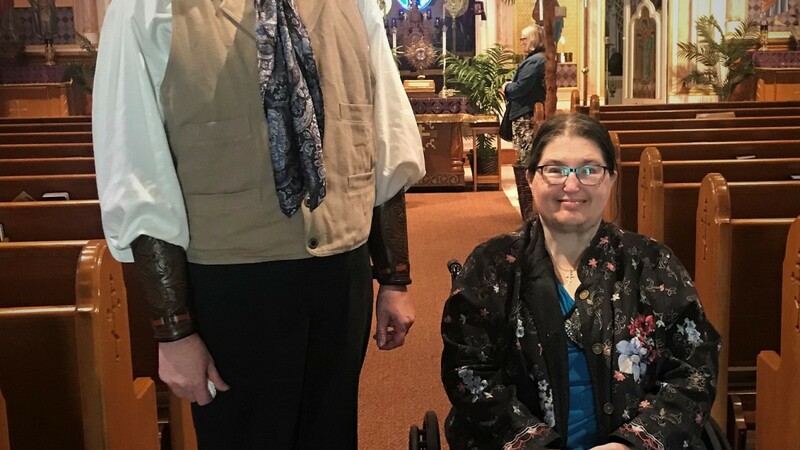 We are a unique community of men and women of all backgrounds and ages, dedicated to serving God and proclaiming the Good News through the ancient Traditions of the Holy Orthodox Church. We celebrate and preserve our Faith as it has been passed to us by God through our ancestral homeland Rus'- Ukraine, and we share it with all who would come to know and grow in Christ through the teaching and Mysteries of His Church. This Church family continually searches for dynamic ways to serve the Lord, manifest the light of Christ to the world and try to address the needs of all of God’s people. 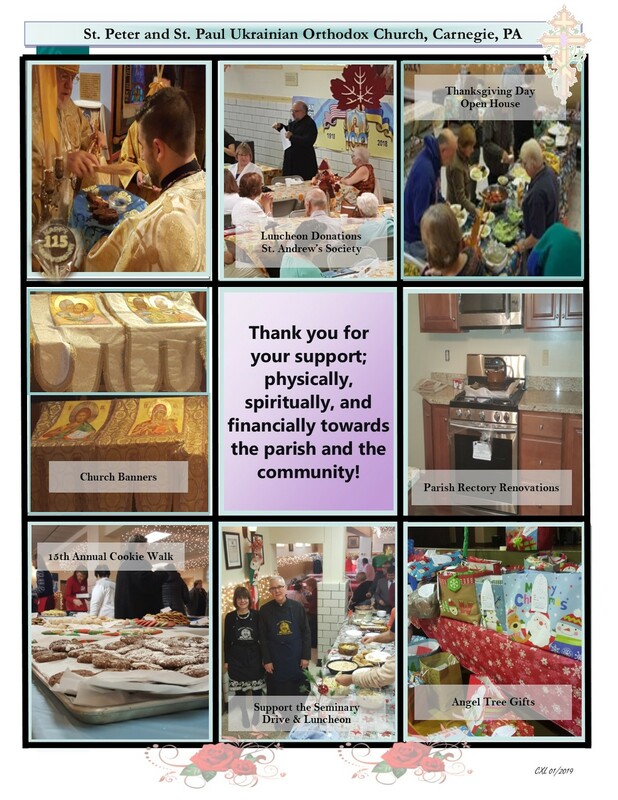 At its core, St. Peter and St. Paul in Carnegie is an Orthodox Christian family that faithfully comes together at the Eucharistic Banquet every Sunday to worship the Lord; and in this light discover the manner and means by which to better know Him and do His will. With a host of ministries and activities, there is a place and opportunity for everyone to grow in Christ, share His love and glorify Him at all places and at all times! What to expect at the Annual Pysanky Sale? Where are the Pysanky located? If I want to by food or paskas where do I go? The above video can help answer those questions and much more!